…the straw that broke the camel’s back. Smigiel station during the Smigiel Railway’s 110th anniversary celebrations on 19 September 2010. Will this be the last such event? Photo Marek Ciesielski. SKPL’s custodianship of the Smigiel Railway is reaching its endgame. 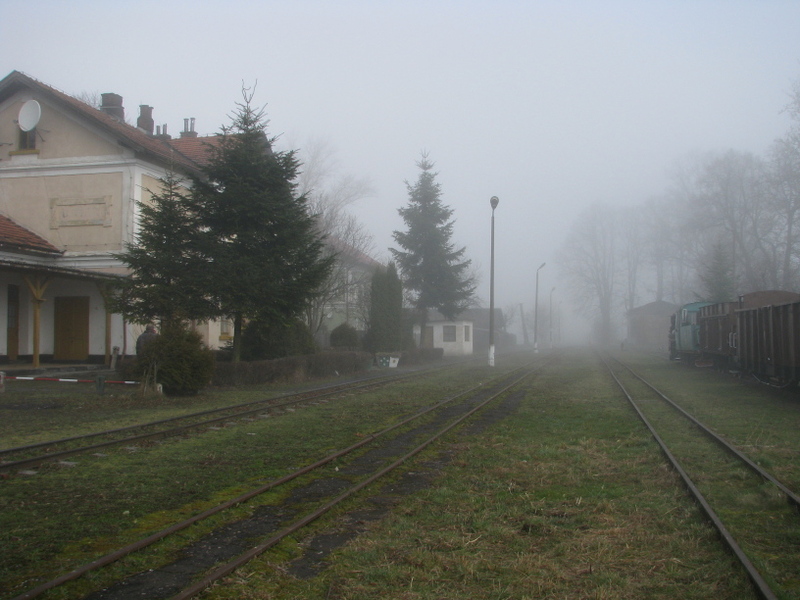 Smigiel Town Council has just informed the short-line railway operator as to how it will be assigning this year’s 100,000 PLN grant from the Wielkopolska Provincial government: 20,000 PLN will cover the Council’s expenditure on the 110th anniversary celebrations; 32,000 will be assigned to the Town Council in lieu of local taxes; 48,000 will go towards SKPL’s operating expenses. 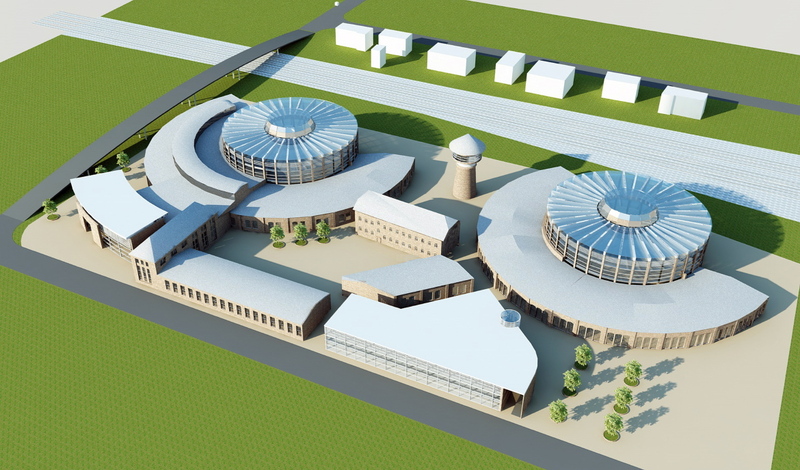 The result will be an operating deficit of some 40,000 PLN. An earlier report on BTWT referred to the possibility of SKPL recouping its losses season from a lucrative roadstone contract. It now seems likely that due to the world financial situation the Polish government will be trimming back its road-building plans for 2011 and that the contract will not be finalised. In the circumstances we expect that SKPL will shortly be informing Smigiel Council that they cannot operate the railway at a loss and will be withdrawing from their operating agreement. SM41-175, Bo ‘Bo’ Ganz-Mavag diesel electric before repainting. Photo ©Robert Dylewski. Karsnice – the forgotten skansen – slowly awakes. Few English gricers make it to Karsnice, but if you like big engines it is still one of the most interesting PKP ‘skansens’. The collection of historic rolling stock at Karsnice was the personal initiative of the Karsnice Railway Works foreman, Marian Fiolek. He set himself the task of collecting one engine of every class that ever worked the Gynia – Katowice ‘trunk coal line’ which is served by the works. SM41-175, cosmetic restoration complete. Photo ©Robert Dylewski. In time he added other exotica to his collection – an ex USA army crane, a portable steam engine, the original coaches from the Gubalowka funicular railway in Zakopane, and a model railway. In 1993, the Karsnice Works celebrated their 60th anniversary and the skansen received its gala opening. Ty43-1 under treatment. In Poland restoration starts with the tender. Photo ©Robert Dylewski. Marian Fiolek had hoped that the town of Zdunska Wola would take over the ‘skansen’ and that the Karsnice railwayman’s association would take on responsibility for looking after the rolling stock. But he was unable to personally guide his plans to fruition. He was still one locomotive short from completing his collection when he received compulsory early retirement. The then by now strapped-for-cash PKP began looking for ways of turning the collection into money. 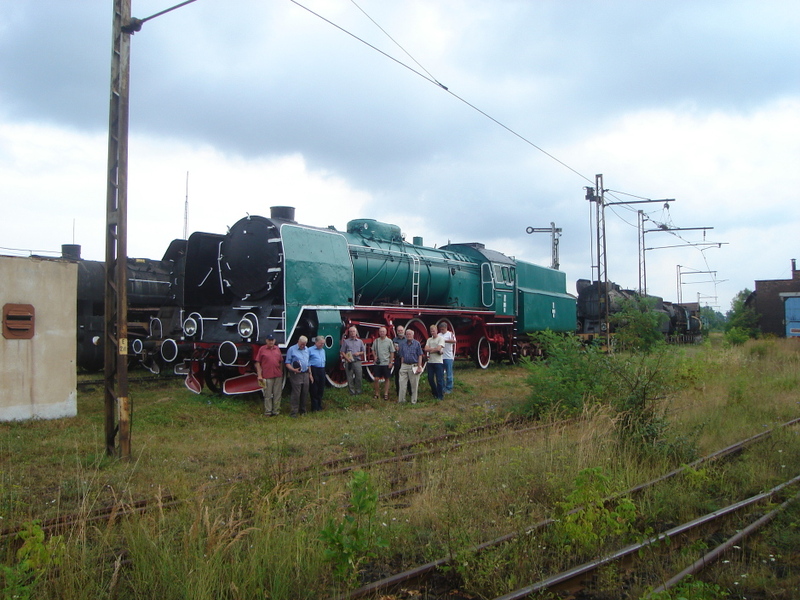 One locomotive was sold to the Lodz City Council for a Holocaust memorial, three more locos were sold to the PSMK for transfer to Skierniewice. Ty42-9’s tender in primer. Photo ©Robert Dylewski. Zdunska Wola Town Council made overtures to PKP about taking over the collection and rolling stock only to be told that they could have the skansen on condition that they bought the collection at the market rate! At this stage, some four or five years, ago I became involved… a number of influential friends made representations at the highest level. Suddenly the log jam was cleared and the transfer of the skansen and its remaining rolling stock to the care of the town was approved by the Minister. Ty45-39’s tender awaits its topcoat, the rest of the loco awaits the ‘full treatment’. Photo ©Robert Dylewski. Sadly the amount of PKP real estate transferred under the deal is tiny. The ex Gubalowka funicular cars sit on land which still belongs to PKP. The ancient wooden bodied four wheeler carriages have been taken out of their shed (partially shown in the photo of Ty45-39’s tender) where they were kept secure for 20 years and now languish in the open. As soon as the skansen’s transfer to Zdunska Wola was finalised the Town Council submitted an application for an EU assisted project to cosmetically restore the entire collection. 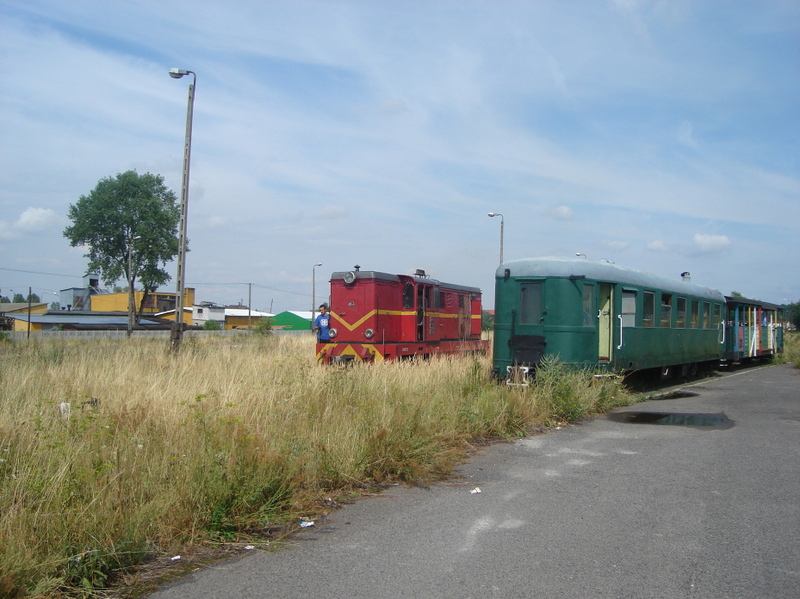 Their application rejected because some of the rolling stock was the property of the Railway Museum in Warsaw and proper agreements for their custody in Karsnice were not in place! Undeterred the Council recently announced a tender for the cosmetic restoration of three steam engines and one diesel locomotive. The tender was won by Przemyslaw Krol’s company, Rem-Team. Although work has now ceased for the winter (A fierce snowstorm has hit central Poland.) a vigorous start has been made, as Robert Dylewski’s photos show. My train? When and where will it arrive? Main arrivals board, Warszawa Centralna station. The train from Bialystok is shown as stopping at Lapy, Malkinia, Tluszcz and Warszawa Wschodnia, in fact it also stopped at Szeptiewo and Czyzew. Similar omissions occur with respect to all the other trains. Though the train is due in at 08:30, and the clock says that it was 08:38 when the photograph was taken, there is no sign whether the train actually arrived on time or was running late. Photo PKP. A recent trip to England left me reeling. The train arriving at platform 5 is the 12:14 for West Drayton Hayes and Harlington Ealing Broadway and London Paddington. Amazing, I thought to myself, bloody brilliant! This is what customer service is all about. I then I took a firm grip of myself and told myself to calm down. This is, after all, what train announcers have been doing ever since the PA was invented. The reason for my excitement was my over exposure to train announcements in Poland and the sheer lack of information contained therein. A similar announcement in Poland – translated for the benefit of our readers into English – would go like this, The train arriving at platform V, track 12, is for London Paddington calling at Hayes and Harlington and Ealing Broadway. A Polish announcer would not specify the scheduled or anticipated arrival time of my train, nor would he dream of listing all the intermediate stations. He would give out just enough information to lull me into a false sense of security to make me think that Hayes and Harlington, and Ealing Broadway were the 12:14s only intermediate stops. So if I wanted to go to West Drayton, off I would go tramping to the end of platform 5 with my heavy suitcase to reach platform 6 for the next stopping train to Paddington. Of course platform 6 would be deserted. With some luck and a following wind I might have elicited the information that stopping trains no longer depart from platform 6 and now depart from platform 5. If things went as well as the way they did when I tried to go to Stare Bojanowo from Poznan, by the time I had made my way back to platform 5, my train, the 12:24, would have departed! The abysmal state of train information communication in Poland has been highlighted by several recent articles. One of the most pithy and hard-hitting was published under the title, Information Scandal – a normal state of affairs, in the industry monthly Rynek Kolejowy. Here is a short exerpt. 9 November 2010. Warsaw Central Station. The BW Express train from Berlin Hbf. Arrival according to ticket – 18:11. Arrival on printed timetable displayed on the platform – 18:18, platform IV. Arrival as displayed on the monitors 18:26, platform I. PA announcement as the train nears Warsaw, “The BW express will arrive at the scheduled time.” Actual time of arrival – 18:31. The original article (in Polish) can be read by following the link at the end of the article. Many thanks to for the original link. Official PKP publicity photograph of the main departures board, Warszawa Centralna station. The contempt for passengers wishing to travel to intermediate destinations is all-to evident. Photo PKP. 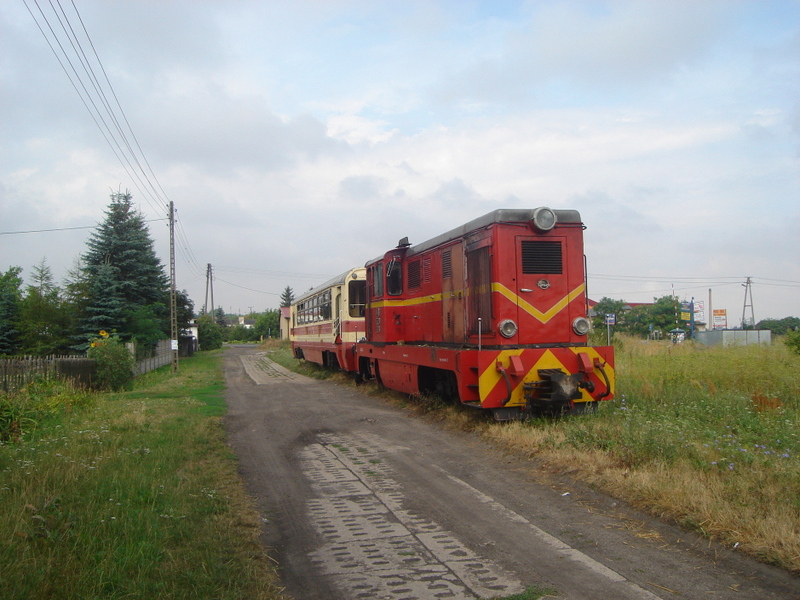 Ol49-100 at Krakow Biezanow, 08:33, 30 July 2006. A group of Spa Valley Railway volunteers visiting Poland on a railway heritage study tour had just travelled overnight from Chabowka in a vintage train empty stock working. Photo BTWT. Our last post Make a Difference – Part 1 generated a number of interesting comments and e-mails. One of our regular readers sent in a detailed report about a project which involves a group Brits working with a Polish society to restore a tank locomotive to working order. In order to keep costs down to the minimum, the involvement of the Brits is – for the time being – being kept under wraps. We have been asked not to divulge any detailed information at the moment, though we will publish a full report about the project just as soon as the restoration team decide that the embargo can be lifted. Ol49-100 had been assisted by vintage electric loco EP03-01. A temporary hiatus – how do you get out of Krakow Biezanow early on a Saturday morning – was solved by the PKP Cargo Dyspozytor who arranged for a van to take the group to Krakow Plaszow station. Photo BTWT. 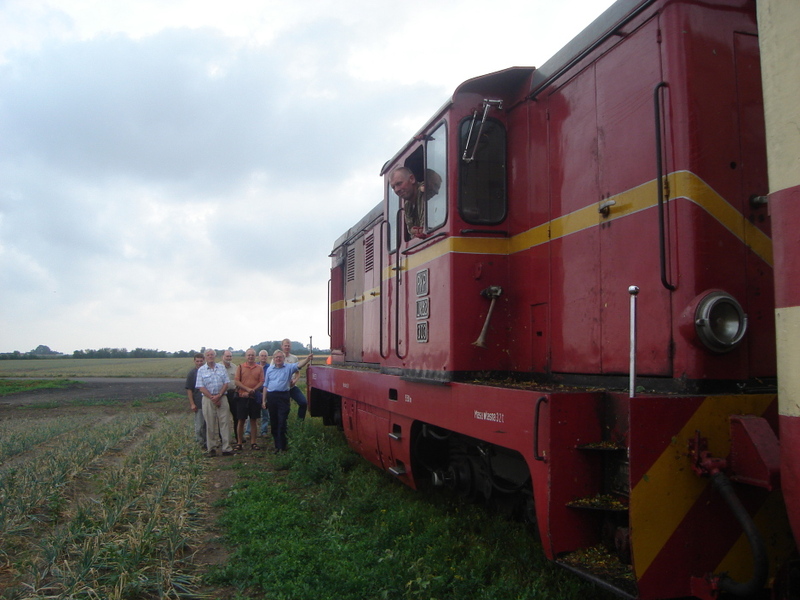 We stayed overnight at the Nocy i Dnie hotel in Russow and, on 1 August 2006, SKPL ran their last ever train along the Kalisz narrow gauge railway’s branch to the former sugar beet holding area at Russow to collect us. Photo BTWT. Finally, former Fedecrail treasurer, Rik Degruyter used our comments section to announce that he is putting his Tkt48-23, currently stored at Pyskowice, for sale at 12.500 euros. It is a very good price; Tkh 2191 – a much smaller locomotive – was sold recently at an auction for over 70,000 zloty (17,750 euro). No derailments and our train had successfully made it through the jungle. The driver of Lxd2-303 looks as pleased as we were. Photo BTWT. As well as being keen to promote ‘hands on’ involvement of the sort described above, we also regularly ask BTWT readers to put pen to paper and to write to key Polish decision makers regarding particular endangered items of Polish railway heritage. 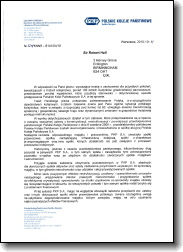 Without going into too many details – lobbying is much more effective if it seems spontaneous and not coordinated – BTWT campaigners will be glad to know that their letters form a part of a much wider lobbying strategy to raise the profile of Polish railway heritage much of which cannot be reported in the pages of BTWT. Pause to find the location of the erstwhile ‘main line’ to Kalisz. Photo BTWT. Robert Hall’s recent trip to Poland reminds us that there is a third way that we can directly help Polish preserved railways. 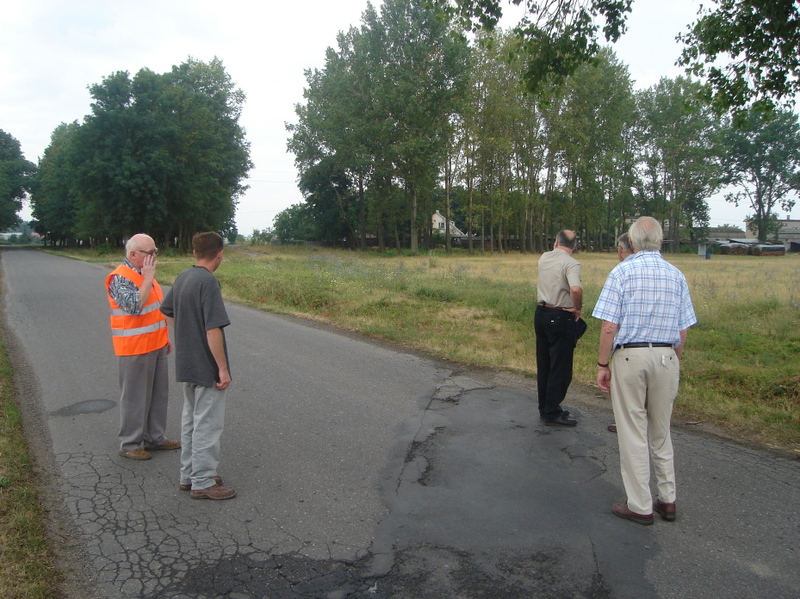 His afternoon working party at Smigiel – in which a group from Wolsztyn Experience also took part – made the desired impression on Smigiel Town Council: the deputy major told me recently that a group of Brits had come for a week to work at Smigiel! Such study visits provide valuable revenue to the lines and heritage centres that we visit and raise their profile in the eyes of the local authorities on whose good will the ventures depend. ‘There it is!’ Photo BTWT. The photographs illustrating this article show a small part of a study visit which we had the pleasure to organise for volunteers from the Spa Valley Railway in conjunction with the Parowozjazda steam gala in 2006. At least two of the lines that we travelled on in 2006 are currently impassable: the Kalisz Railway’s Russow branch and the section from Zbiersk to Turek. 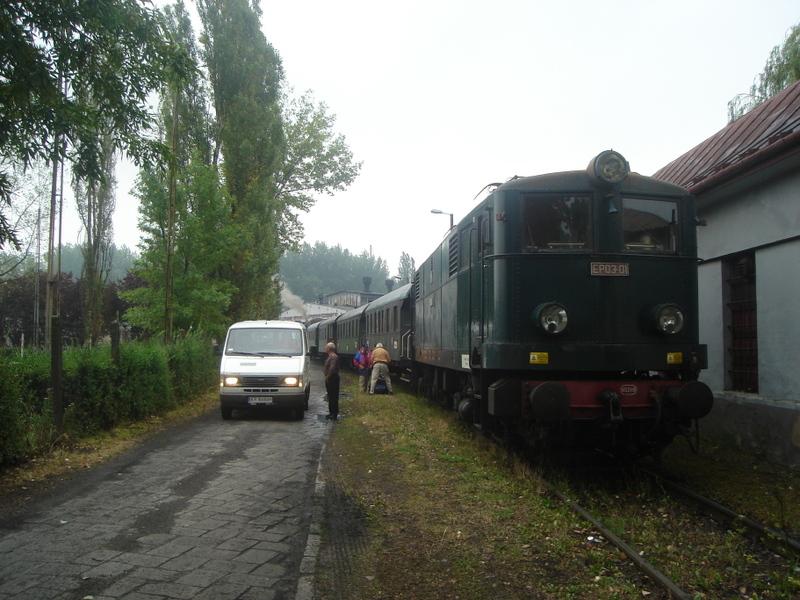 With the Romanian trailer changed to a 1Aw the group’s special train became one of the last workings to Turek. Photo BTWT. 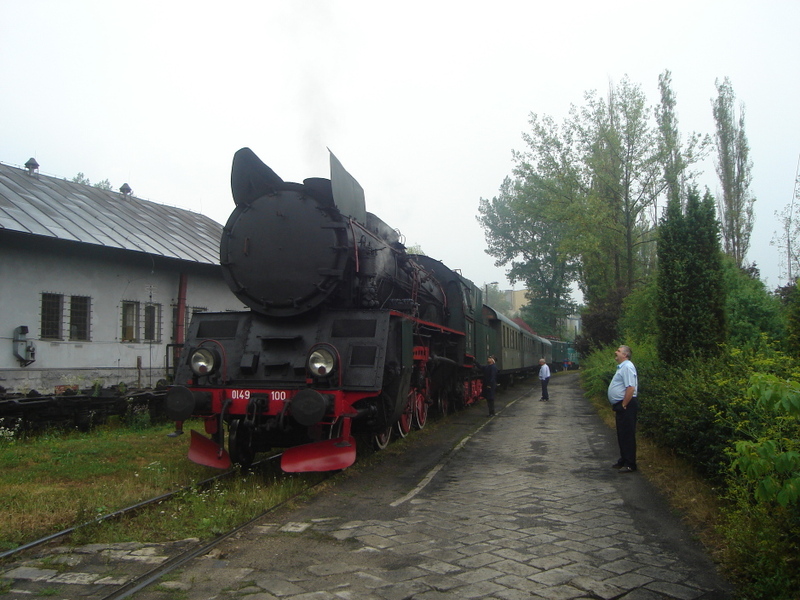 In the first week of 2011, we are planning another study visit to Poland – we will visit some 15 railway heritage locations and view the annual Wolsztyn Steam Gala and Locomotive Parade. To make the visit as enjoyable as possible – and keep things informal the size of the group will be kept small. If you are interested in taking part please drop us a line. Pt47-93, which had received a quick lick of paint in anticipation of the study tour visit, at the ‘Forgotten Skansen’ in Karsnice. Photo BTWT. 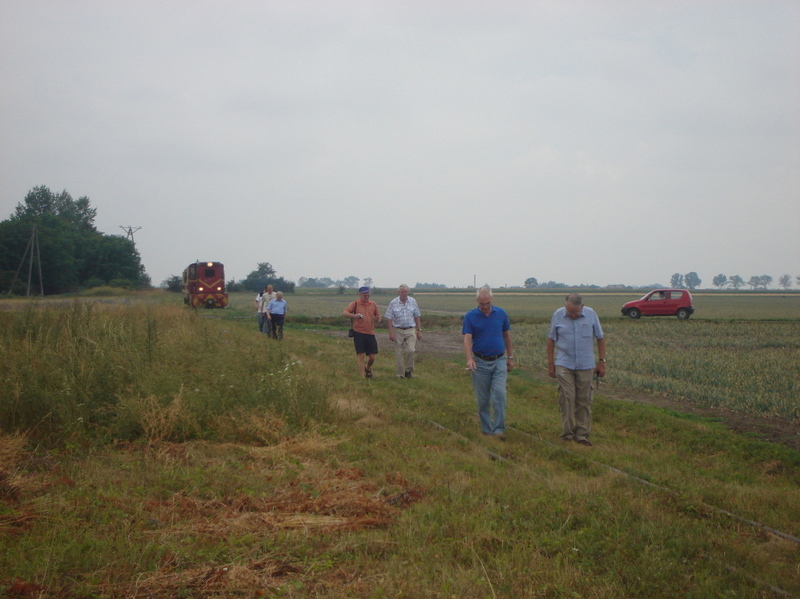 The current plan is a 10 day visit – travelling out to Poland on Wednesday 28 April and returning home on Sunday 8 May – and to visit many of the locations visited by Robert Hall. If there any particular railway heritage locations that you would like to be included in this visit please drop us a line. The BTWT e-mail address is: railfan [at] go2 [dot] pl. Please remove the spaces and convert ‘at’ and ‘dot’ to the appropriate characters. Make a difference! Part 1. Tkt48-177, plinthed in front of the station buildings at Nowy Sacz. Photo Mariusz Rzepkowski, via Wikipedia Commons. I occasionally get enquiries from readers who are interested in buying a Polish steam locomotive. There are still a couple of hundred steam locomotives in Poland which are either plinthed at various remote country locations or mouldering in obscure sidings. In principle, what could be more worthy, than giving one of these locomotives a new lease of life. In practice, the path of locomotive acquisition and restoration can be very tortuous, particularly for someone who is not Polish. First of all, if you do find a locomotive owner who is willing to sell you are likely to come up head-to-head with with a Polish society were also trying to acquire the same engine. If it comes to a bidding war, a ‘foreigner’ is likely to have more resources available that a Polish preservation society, but do you really want to start your railway preservation venture in Poland having antagonised the very people whose help you may need to progress your project. Secondly, Poles are all too aware that the average income in Great Britain is some five times that in Poland. So you are likely to find yourself being charged more for many services such as transport or secure storage than a Polish owner. Thirdly, those locomotives that are likely to come up for sale, have in all probability been stripped of so many parts that their restoration would be a long and very expensive process. Tkp “Slask” at Labedy Steelworks. Special event organised for British railfans, September 2007. Video by Rembek. In my view there is a better option than trying to acquire outright ownership a Polish steam locomotive. It is to join forces with an existing owner and help to provide the resources which will make possible the restoration of the locomotive within a reasonable timescale. The result could could be a win-win for both sides. The new investor is not faced with bills for acquisition, transport or secure storage. Any money immediately available can be spent on restoration. Of course, for such an arrangement to work well a clear partnership agreement properly executed according to Polish law is essential. 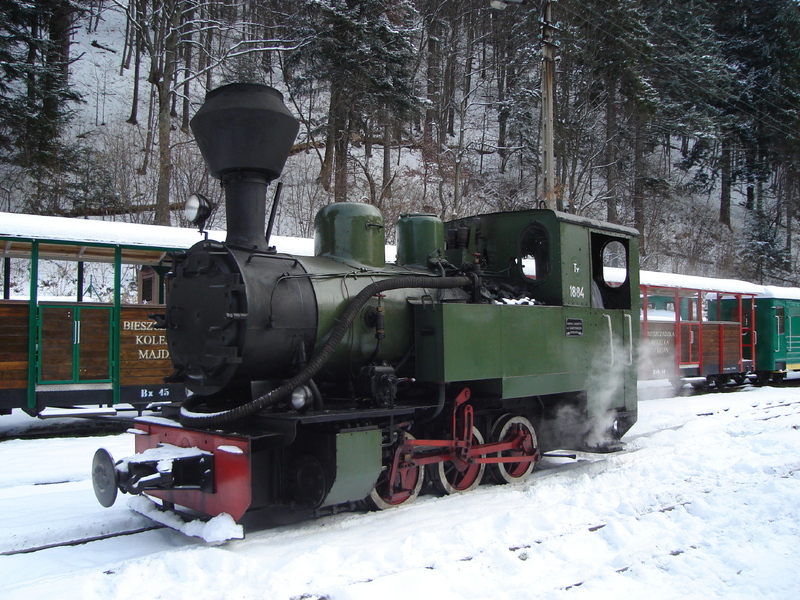 “Las” 0-6-0T on the Bieszczady Railway. Photo BTWT. How might such an agreement work? Let’s look at a number of examples. A Polish society owns a Tkt48. It only needs some £20,000 spent on it to be restored to working order. The society are busy with a large number of other projects and the Tkt48 is not a high priority. The locomotive would be available to any individual or group willing to adopt the locomotive for a particular length of time. Meanwhile another Society would be happy to lease the locomotive – once it is restored – to haul regular freight trains on a municipally owned branch line. Take another example. An Englishman owns a Tkp ‘Slask’ 0-8-0T. He’s busy with a number of other projects in central Europe. He is looking for an individual or group to invest in the restoration of the locomotive to running order and in return for the investment is willing to give the investor a 50% share in the locomotive. Final case. A Polish group owns a 750 mm gauge 0-6-0T ‘Las’. The group has its hands more than full working on a large collection of standard gauge rolling stock. The locomotive could easily be restored to working order. The owning Society would like a number of incoming investors to form a subgroup working as full members of the parent organisation. The locomotive’s new minders could take the loco to work on other narrow gauge lines as a roaming ‘ambassador’ for the parent organisation. The above examples are not hypothetical, but are examples of real locos all needing a helping hand. So any ‘foster parents’ out there? 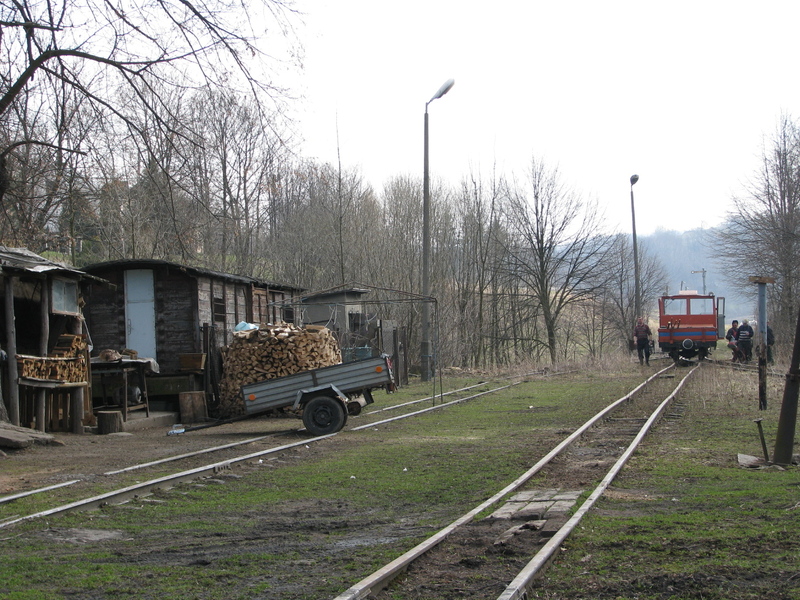 Permanent Way crew and trolley, Jawornik Polski, 1 April 2009. I am appealing to all our seasoned campaigners to write to the Chief Executive of the PodKarpackie Provincial Government asking him to take action to help save the Przeworsk Railway. Here is the letter that I sent myself which contains all the contact details. Please modify the words to reflect what you would like to say yourself, rather than just copy my letter word for word. I am writing to you to ask for your intervention in saving the Przeworsk Railway. The railway is one of the most scenically attractive tourist railways in Poland and the only one whose route includes a tunnel. I sincerely believe that – properly developed – the line could attract more tourists to the region and become a powerful catalyst for the revival of the area. Over the last few years, I have attended many meetings with local authorities through whose areas the line runs. All have declared their willingness to contribute to the line’s finances. All have declared their willingness to meet together regularly to plan for the line’s revival. All have asked that for at least the first meeting you join us and help us develop a viable plan for the line’s future. This year the line has suffered greatly because of flood damage and, without an urgent repairs, will not be able to run during the 2011. If the line does not run it will surely suffer the same devastation and theft that have destroyed many other narrow gauge railways that were left ‘in limbo’. Accordingly, I would earnestly ask you to organise a meeting of all the line’s stake-holders, and with yourself at the head of the table, help us formulate a plan to secure the line’s continued future and further development as a ‘pearl’ of the Podkarpackie Region. The terminus at Dynow, 1 April 2009. Both photos BTWT. The monogram of Juliusz Kindermann and the date of building of his ‘Cotton Goods Factory’ in Lodz. Today the factory is a listed building has become the ‘Hotel Focus’. Part of Kindermann’s mansion – which is next door to the factory – houses the ‘Keja’ pub. From a photograph by fotobolas. I was having supper last night in the Hotel Focus in Lodz with an eminent British railway heritage conservationist when our conversation turned to the scrapping of Ol49-32 in Gniezno last Tuesday. What we need in Poland, I opined, is a body like the one that operates in the UK designating certain railway objects as part of the nation’s railway heritage that must be preserved. Like the Railway Heritage Committee? queried my dining partner. Exactly! That’s the one, I answered. The Railway Heritage Committee will be sentenced to death on Tuesday! I was told. Too astonished for words, I pressed my informant for more. Click the link below to read the whole sorry story. Ol49-32 in Gniezno shed. 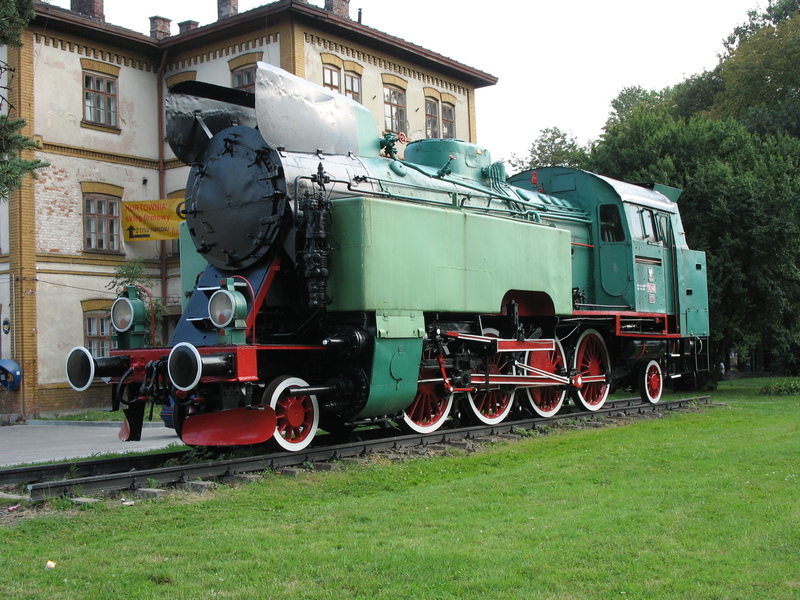 On Tuesday this locomotive was removed from the Wciaz pod Para database of surviving Polish steam locomotives. Photo ©Tomislaw Czarnecki. Wittgenstein very fittingly compares a certain type of philosopher with a fly in a bottle, going on and on, buzzing about. And he says it is the task of his philosophy to show the fly the way out of the bottle. But I think it is Wittgenstein himself who is in the bottle and never finds his way out of it; and I certainly don’t think he has shown anybody else the way out. Poland’s railway heritage faces dark times. I have just taken part in a programme on Radio Rzeszow about the future of the Przeworsk narrow gauge railway. The radio programme was like a game of ‘pass the parcel’. The Chief Executive of Przeworsk District Council noted a distinct coolness on the part of the Podkarpackie Province regional government in rallying to the railway cause. The representative of the regional government used the opportunity to blame the District Council and SKPL. SKPL blamed everything on the lack of funding. Nobody discussed how the railway can get out of the current mess and move forward. So is there any way that those of us who are ‘outsiders’ can help? By the strange Alice-in-Wonderland relations that govern Poland, a letter or e-mail originating from the United Kingdom or United States can have a much bigger effect than a similar missive sent from Poland. An even bigger impact can be made when visiting Poland’s heritage railways – make an appointment at the town hall or municipal government offices and tell the Chief Executive how far you have come specifically to visit the railway. It may take time, but the cumulative effect of such initiatives can be a powerful force for good.